We fly on autopilot, but would you consider driving on this system as well? 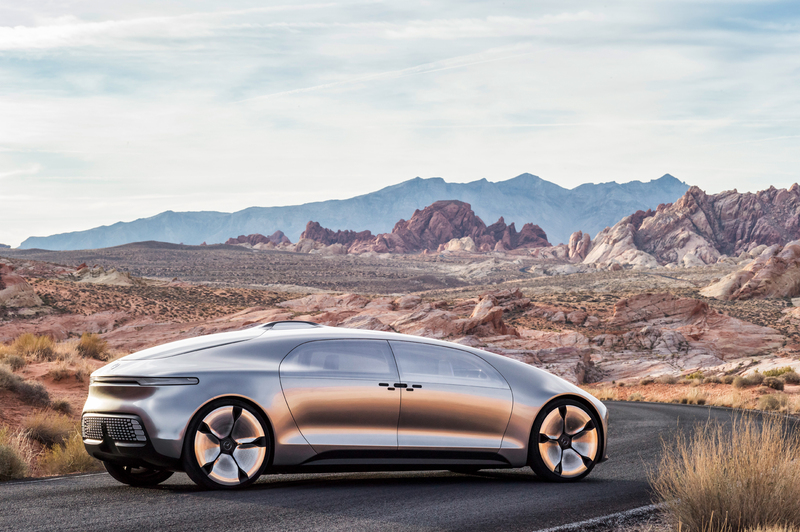 Perhaps the most futuristic-looking of all the CES 2015 premier technologies is the F 015 Luxury in Motion concept car by Mercedes-Benz. Nearly 17 feet long (approximately the length of a Cadillac Escalade), this car sits low to the ground like a sedan. 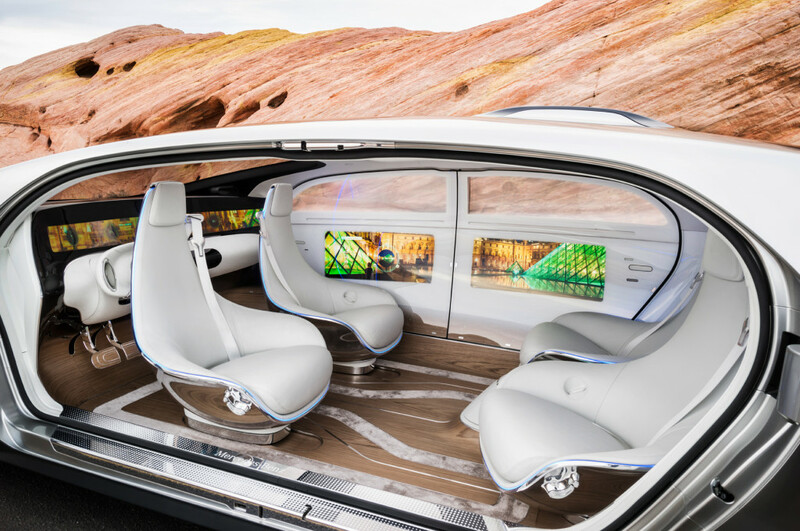 It comes with four lounge style passenger seats that can sit facing each other. The back two swivel 30 degrees, while the front two turn completely around in case you prefer to chat rather than drive the car. The steering wheel folds into the dashboard, reminding you to relax as this car drives itself. The interior panels host high-tech touch screens, offering no shortage of digital entertainment. The car’s exterior lights change color based on who’s driving. Blue lights signify that the computer is in charge, while white lights indicate a human is in control. 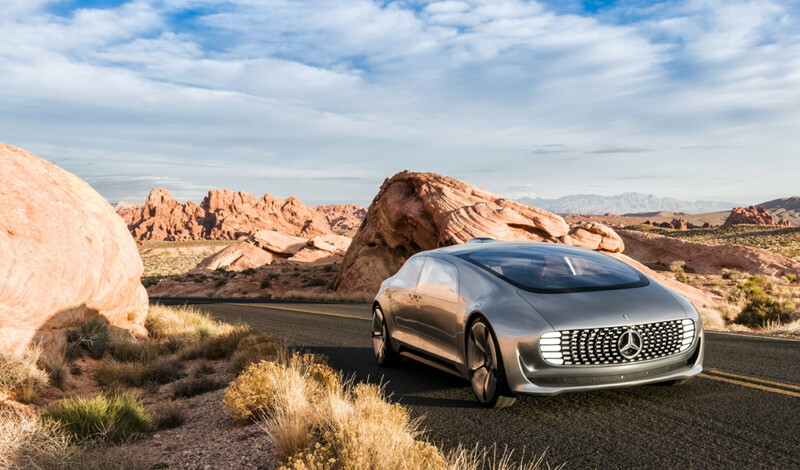 Innovators expect that by 2025, many cars will be self-driving. 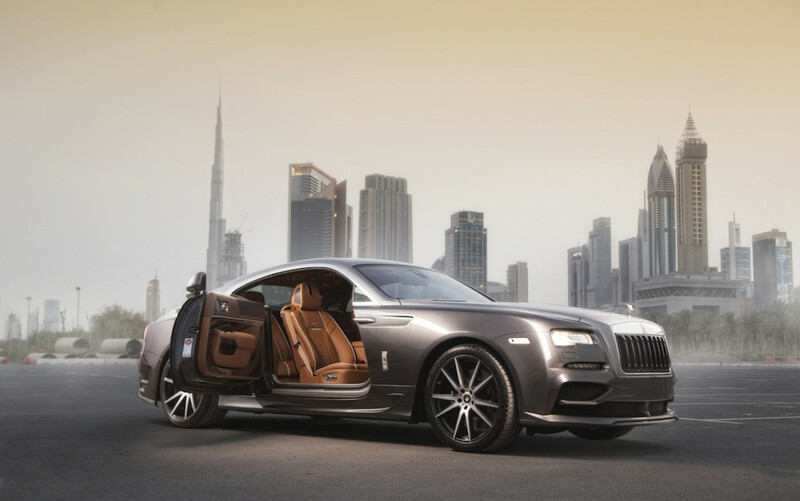 The distinguishing feature, however, will be the space and luxury details each car provides.